*Expired* Want to thank me? Write me a thank you note! I’m busy lining up a fabulous week of giveaways to celebrate the one-year blogiversary of Freebies 4 Mom on October 21. So, while I’m working on thanking you, I thought that you could work on thanking me! I’m looking for thank you notes from my readers. If you are inspired to write one, I’d love to get a thank you from you by email. I’ll be posting a few of the thank you’s throughout the celebration week. If you want to increase your chances of seeing your thank you posted, then please share a specific story about how Freebies 4 Mom has helped you or spoiled you. If you are a blogger and I post your thank you, I will also include a link to your blog. 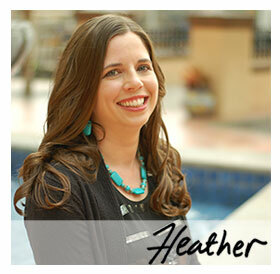 Hi Heather,I feel EXACTLY the same as Jennifier’s comments toward you and your blog!!! I have received countless samples, coupons, freebies and prizes from the information you provide!I recently received my prize (thanks to you) from the Quaker Oats Sweepstakes. It was so much fun uploading the photos and putting together the 8×8 photo book. This was first time using Shutterfly and the book turned out AWESOME! My son was so excited to see his Boy Scout Summer camp photos in his own book!THANKS again! Geez… sounds like anonymous remains anonymous for a reason! I am sure the rest of us love your blog, or we wouldn’t be here! Thanks again- Jenny. Just wanted to say a quick thank you for all the time that you put into this site. Finding freebie for us sot hat we can save money and save our time. Thank you so much! And I look forward to another year of your blog! Hi Heather, I was just in CVS and couldn’t wait to come back and tell you about my awesome deals! I bought 4 bags of Reeses and 2 bags of KitKats (on sale BOGO 2.99), used 2 $1/3 Hershey’s printables that you told us about on 9/25? and $7 ECB from the Hershey’s deal a couple of weeks ago. My out of pocket was a whopping 12 cents. Oh! This CVS in Overland Park, KS has Huggies and Pampers swim pants on clearance 75% off if anybody needs to stock up for next year! Thanks again for all you do! Wow! Thank you, Jen, and everyone else who has found my blog worth reading. I filled out a survey today by Google, and one of the questions was “what is the primary purpose of your blog?” and I answered “to share information”. I love sharing things that help you save money and help you have some frugal fun. It’s humbling to know that so many people find it worth visiting my blog each day to see what’s new. I’m hoping that next year will bring more improvements and more great things to share with you. Thank you for your comments and emails! H, I’ve told you before but definitely want to thank you again for all your hard work here! i’ve learned so much and gotten so many freebies because of you! i look forward to your posts everyday! Erin – Everyone is entitled to their own opinion. If you are only interested in the free samples from Walmart, then please visit the Walmart website directly rather than my blog. You’re website has been such a reliable source of information. I first came for the freebies, and later for the information on blogs and business. Thank you so much for gathering all of this together in one spot. You have provided us with a safe and reliable resource for freebies, advice, coupons and so much more!!!!! I have truly enjoyed not only benefiting from your blog entries but your website also exposed me to blogs in general. What a wonderful world of saving and corresponding. I never knew the volume of freebies out there existed. Friends and family are amazed at the results you have guided me in achieving. Thank you thank you thank you!! I know that I have told you before… but I just love your blog and you encouraged me to start my own blog! Thanks for all the great advice, freebies and deals along the way! I want to thank you for all of your hard work. I have gotten freebies before, but now I really enjoy going to the mailbox! Plus I won a book giveaway that you had! My family really thinks I’m getting resourceful!! Haha! Thanks again Heather. This is my first time here! I wanna thank you fro allyour hard work you put into this site. It looks great! You are going on my blogroll!! I just wanted to let you know that I received Signing Time today. Thanks! My kids love it!